Please note: subheadings added and lines in bold are editorial additions by Newsnet newsroom and were not part of Michael Russell’s distributed text. Presiding Officer you were there to hear that speech. So was I. So were the First Minster and the Deputy First Minister sitting on this front bench today. So were Tavish Scott and Mike Rumbles, so was Iain Gray and Elaine Smith. 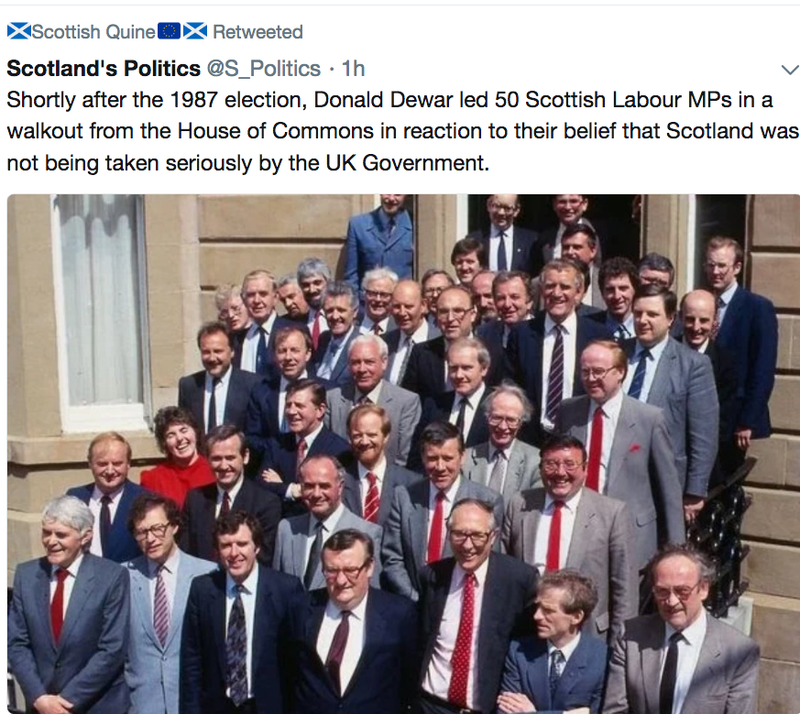 26 members of this present Parliament were, so to speak, in at the beginning, though the beginning was actually a culmination of a long campaign and struggle which was fought, again in Donald Dewar’s words, to achieve ‘the day when democracy was renewed in Scotland’. 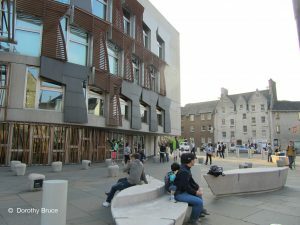 Of course I and all the others on these benches disagreed then with Donald Dewar about the final destination of that journey, just as we disagree on that matter with others here today. Yet that was not the important thing on that opening day and it is not the important thing today. The important thing was, and is, to acknowledge the progress that had, and has, been made. To accept that on this journey together in a Parliament of minorities – a journey the Scottish people told us to take and which they voted for by an overwhelming majority – we should find a way to secure tangible gains for our country, no matter our vision of where we wanted to end up. And that is our duty because this Scottish Parliament belongs to the people of Scotland: not to us as parliamentarians, nor to this Government or any Government. As elected members, we hold this place and our powers in trust: for the generation that voted for it, for this generation, and for the generations to come. 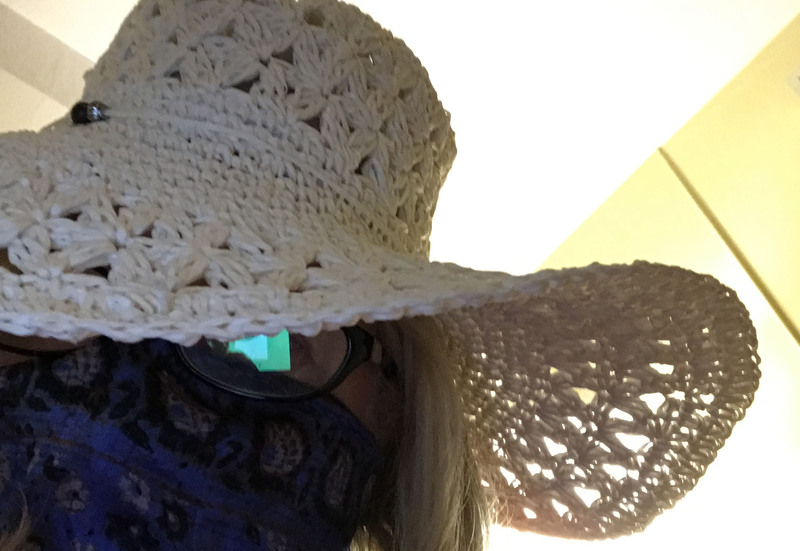 They decide on journey and endpoint, not us. Presiding Officer, over the past 19 years this Scottish Parliament has, in the greatest part, been good for Scotland. 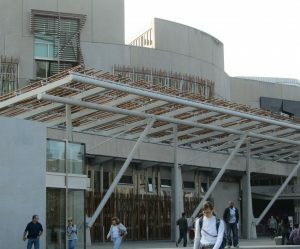 The powers of this Scottish Parliament have been used by administrations of different political complexions to improve the lives of many – hopefully most – of the people living in Scotland, often in response to some of the most serious challenges they face. Every one of us in this chamber has played a part in that – from securing free personal care for the elderly to abolishing tuition fees; from establishing world-leading climate change legislation to delivering equal marriage; from putting in place the UK’s first smoking ban to agreeing that for the health of our nation we should introduce minimum unit pricing for alcohol; from eliminating business rates on small enterprises to supporting innovative and profitable renewable energy generation. We have, and we use, these powers because we enjoy an established system of government called devolution. It may not be able to secure everything all of us want but devolution put in place in 1999, and strengthened by subsequent agreements with Westminster – has made our system of governance robust enough to withstand expected and unexpected challenge and difficulty. Robust enough to withstand a global financial crash and to resist – at least in part – the misguided and damaging policy of austerity. Now it is our job to ensure that it is not cast aside because of a Brexit which Scotland did not vote for and which can only be damaging to our country. Today the challenge of Brexit – or rather the challenge of the proposed power grab by the UK Government under the guise of delivering Brexit – puts our devolved settlement at risk. 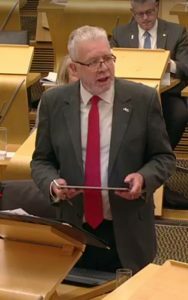 The Secretary of State for Scotland – who incidentally also heard Donald Dewar’s opening remarks as a member of this Parliament – dismissively described the issues we are debating today as ‘dancing on the head of a pin’. Presiding Officer, it is not dancing on the head of a pin to insist that twenty years of stable devolution that has delivered good things for our fellow citizens be protected. Nor to demand that the powers we use for the benefit of Scotland, which have been agreed by the people of Scotland. Now in one view, the vulnerability of the principles of devolution to the UK Government’s approach to Brexit should not surprise us. That government cannot answer even the most basic of questions on issues such as the Customs Union with just months to go before a Withdrawal Agreement must be signed. It has dismissed this Parliament’s views on wider Brexit issues such as the Single Market and the triggering of Article 50 and it has acted recklessly towards prosperity, and peace in Northern Ireland. this Chamber over the need to protect the Scottish Parliament’s powers. The Scottish Government has always acknowledged that we must prepare our laws for EU withdrawal.But we accept that legal preparation for Brexit is required and that that is the purpose of the EU Withdrawal Bill. The UK Government, for its part, recognizes that it is required to get our consent to the bill. 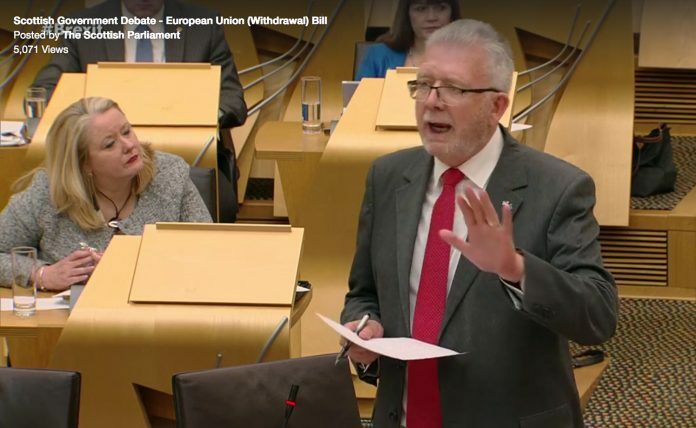 And on that point, this Parliament spoke very powerfully when, in its interim report, the Finance and Constitution Committee in January agreed unanimously that the bill was ‘incompatible with the devolution settlement in Scotland’ and that it could not therefore recommend consent. Clause 11 was not an accidental clause; – it encapsulates the current UK Government’s view of the type of devolution it wants to see – operating only by the grace and favour of Downing St. Now to be fair the UK Government, eventually responded to the unanimous view of this Parliament and Welsh Assembly and many others that clause 11 as originally drafted was unacceptable. So it made changes. But Presiding Officer, it is still clear, in its new re-formulated clause 11, how the UK Government sees power being exercised on withdrawal from the EU. It is still clear how it views this Parliament. And that view is unacceptable. For it would abandon the way in which we have all operated for almost two decades and break the devolution settlement we have. The UK Government wants to take a power to restrict the competence of this Parliament. And it wants to be able to exercise that power even in the face of an explicit decision by this Parliament that it should not. This is not about the sovereignty of the Westminster Parliament, or giving effect to the Sewel Convention. This is about the UK Government, not the UK Parliament, for the first time being able to adjust the terms on which devolution operates through delegated legislation; and to be able to do so without the consent, or even against the wishes, of this Parliament. 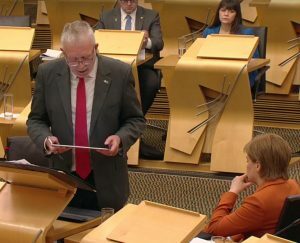 Presiding Officer, there are existing and effective powers under the original Scotland Act which allow the competence of this Parliament or the Scottish Government to be adjusted. Importantly, none of them operate in the way set out in the new clause 11. Every single one of them requires changes to be passed by both the UK Parliament and the Scottish Parliament. Every single one of them requires proper democratic consent to be sought and received. Real consent, not presumed consent, not no means yes, no matter what this chamber says. Now of course the UK Government tells us that it would not normally make these regulations without our consent. But those are not words that appear in the legislation. The legislation is actually drafted on the basis that proceeding with an order – even without consent from this Parliament; even if this Parliament has unanimously voted against it – will be normal. And it is that legislation to which we are being asked to consent. The purpose of this constraint is, we are told, to enable discussion to take place on the establishment of common UK frameworks in devolved policy areas after Brexit. But there is no need to impose an unprecedented, unequal and unacceptable new legislative constraint to achieve that end. Because we agree that there may be the need, in certain areas, to establish such common frameworks. And in keeping with the spirit and principles of devolution, we agree that those common frameworks should be the product of negotiation and agreement between governments and parliaments, rather than established by imposition. We also agree that, pending the establishment of common frameworks, both governments should maintain existing EU law regimes across the UK. The committee made the key point that the devolution settlement can only function effectively if there is mutual trust between all of the UK’s governments; if the substantial political agreement between governments is given effect by political means. 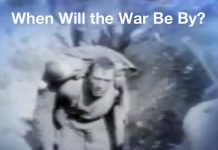 The answer, therefore, is to proceed through reciprocal political commitments. That was the view of all parties on the committee – except the Conservatives. Today, in this motion, the Scottish Government is asking Parliament to withhold consent to the Bill as it stands. This will not be the end of this process – the offer of this Parliament is still on the table. However, passing this motion means that the EU Withdrawal Bill must be adjusted, either so that it can command the consent of this Parliament, or to reflect the terms of the legislative consent motion. If the motion is passed today, that will be the will of this Parliament. What cannot happen, Presiding Officer, is what the UK Government seems to want to happen. They want to ignore the reality of devolution. They want to drown out what this Parliament says. But, not even they can pretend that no motion has been passed. Nor can they pretend that this Parliament is failing to face up to its responsibilities to enable the statute book for which it is responsible to be prepared – through passing the Continuity Bill; and through supporting the Government in seeking to secure amendments to the EU Withdrawal Bill so that it could command the consent of the Parliament. If after tonight’s vote the UK Government move to force on this Parliament an arrangement for restricting devolution that does not have Parliament’s consent they will do so in the full knowledge that they are breaking the twenty year old devolution settlement and operating outwith the agreed constitution. Those are actions that will be noted here and across Europe. In short, if there is a failure after today’s vote to adapt the bill to devolution. It will be the UK that would be breaking trust, and breaking the rules, not us. Presiding Officer, Donald Dewar began his speech on the 1st of July by looking at the mace that was in front of him then and is in front of us now. It has inscribed on it the first words of our founding statute – ‘there shall be a Scottish Parliament’. Twenty years ago they were words of aspiration; a statement of constitutional intent. Now, they [are] words of constitutional reality; of resolve. There is a Scottish Parliament and its voice must be heard. Donald Dewar cautioned us in his speech that the Scottish Parliament was ‘not an end’, it was ‘a means to greater ends.’ Today we are called on – for the first time – to protect those means by refusing to accept changes to them to which we have not agreed. To protect those means, so that we can go on achieving the best ends for Scotland we can. To protect those means because, the people of Scotland themselves chose them – and they chose us to protect them. Accordingly Presiding Officer, I move the motion in my name.